Sorry, there are only 126 tickets of that type still available. Sorry, there are only 126 tickets left for this event. Sunday, May 26, 2019, 9 a.m. to 5:15 p.m.
Add years to your life . . . and life to your years! Heart disease, obesity, cancer, diabetes, Alzheimer's, auto-immune diseases and other chronic conditions afflict millions of Americans and their families every year. Pills and surgery can help, but standard medical treatments often fail to address the underlying causes of disease, can be very expensive, and can have unwanted side effects or complications. Did you know that most of these conditions can be prevented, and sometimes even reversed, through a whole-food, plant-based diet? Join us for a fun, informative day-long event to hear the latest science and to learn how to make the transition to a delicious, healthy, rewarding new lifestyle! *Seating capacity for this event is limited; all ticket types sold subject to availability. Joel Fuhrman, M.D. is a board-certified family physician, nutritional researcher, and six-time New York Times best-selling author. He serves as the President of the Nutritional Research Foundation. Dr. Fuhrman has authored numerous research articles in medical journals and is on the faculty of Northern Arizona University, Health Science Division. His two most recent books are Eat to Live Quick and Easy Cookbook and Fast Food Genocide. 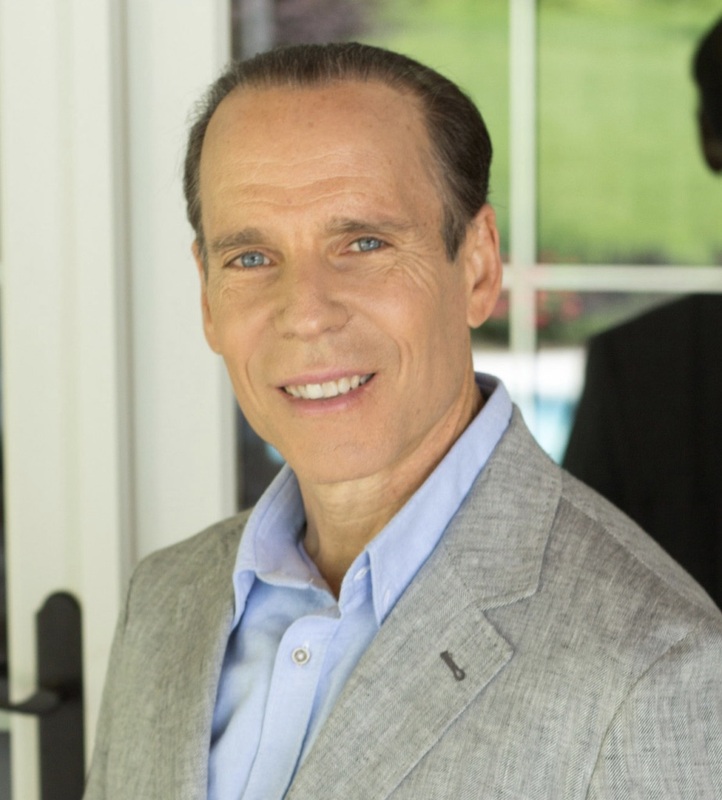 Dr. Fuhrman has appeared on hundreds of radio and television programs including, the Today Show, Good Morning America, Live With Kelly and Michael, and The Dr. Oz Show. His four PBS television shows have been some of the top fundraising shows for PBS, which have not only benefited PBS, but also improved the health of millions of people across America. Dr. Fuhrman is a graduate of the University of Pennsylvania School of Medicine. He is a former world class figure skater, second in the United States National Pairs Championships in 1973, and third in the World Professional Pair Championships in 1976. He is involved with sports medical committees and provides guidance to professional and Olympic athletes on maximizing performance and preventing injury. Dr. Fuhrman maintains an extensive website at www.drfuhrman.com. Saray Stancic, M.D. is a board-certified Infectious disease specialist turned passionate advocate and practitioner of lifestyle medicine. Her pursuit and interest in lifestyle medicine is rooted in her personal story as a patient living with multiple sclerosis. She is the founder of one of the first lifestyle medicine practices in the country, and mentors the lifestyle medicine interest group at Rutgers New Jersey medical school. She is the Chief Medical Officer for WellStart Health, a digital, team-based intensive lifestyle change program. She has conducted clinical studies and has authored several research papers in peer-reviewed medical journals. Dr. Stancic recently produced a documentary film, Code Blue: Redefining the Practice of Medicine, which highlights the practice of lifestyle medicine to prevent, treat, and manage chronic illnesses. In making the film, she traveled coast-to-coast, interviewing prominent leaders in lifestyle medicine. Learn more about Dr. Stancic at www.drstancic.com. Chef AJ has been devoted to a plant-exclusive diet for over 41 years. She is the host of the television series Healthy Living with CHEF AJ which airs on Foody TV. With her comedy background, she has made appearances on The Tonight Show Starring Johnny Carson, The Tonight Show with Jay Leno, The Late Show with David Letterman and more. A chef, culinary instructor and professional speaker, she is author of the popular book Unprocessed: How to Achieve Vibrant Health and Your Ideal Weight, which chronicles her journey from a junk-food vegan faced with a diagnosis of pre-cancerous polyps, to learning how to create foods that nourish and heal the body. Her new book The Secrets to Ultimate Weight Loss: A Revolutionary Approach to Conquer Cravings, Overcome Food Addiction and Lose Weight Without Going Hungry has received glowing endorsements by many luminaries in the plant based movement. Based in Southern California, Chef AJ teaches a monthly sold-out seminar featuring cooking instruction, nutritional science and song parodies, all delivered with comedic panache. Never content to leave her audience with mere “just do it” advice, she teaches how to create meals to transform health and how to deal with cravings and food addiction, and addresses the emotional side of eating. She is the creator of the Ultimate Weight Loss Program, which has helped hundreds of people achieve the health and the body that they deserve. Chef AJ was the Executive Pastry Chef at Santé Restaurant in Los Angeles, where she was famous for her sugar, oil, salt and gluten free desserts which use the fruit, the whole fruit and nothing but the whole fruit. She isalso creator of Healthy Taste of LA and the YouTube cooking show The Chef and the Dietitian. Chef AJ holds a certificate in Plant-Based Nutrition from eCornell University and is proud to say that her IQ is higher than her cholesterol. In 2018 she was inducted into the Vegetarian Hall of Fame. Learn more about Chef AJ at www.eatunprocessed.com. Sharon McRae (Co-Host) is a plant-based Certified Health Coach residing in Howard County, Maryland, who has been applying principles of health and nutrition in her own life for more than three decades. She is also a certified instructor for the Physician’s Committee for Responsible Medicine’s (PCRM) Food for Life program, teaching nutrition and cooking classes at locations throughout the community. Sharon offers nutrition and health coaching to clients and families and conducts special events such as workshops, seminars, and food store tours. Sharon is also the founder and organizer of the Columbia, Maryland Forks Over Knives Meetup Group (www.meetup.com/Columbia-MD-Forks-Over-Knives-Meetup) which includes over 1,725 members and meets for a monthly plant-based, whole-food potluck dinner in Howard County, Maryland. The meetup group also meets for outings to local restaurants that provide special whole-food, plant-based menu options, and members keep in touch with each other on the meetup group's Facebook page. For more information about Sharon, visit www.EatWell-StayWell.com. Get Inspired – Get Healthier – Live Longer – Go Plant-Based!